If you want to have fun, hang out and exchange trip ideas with other travellers, then come to Funny Palace. Here you will find really spotless, safe and low-cost accommodation in the centre of Rome. 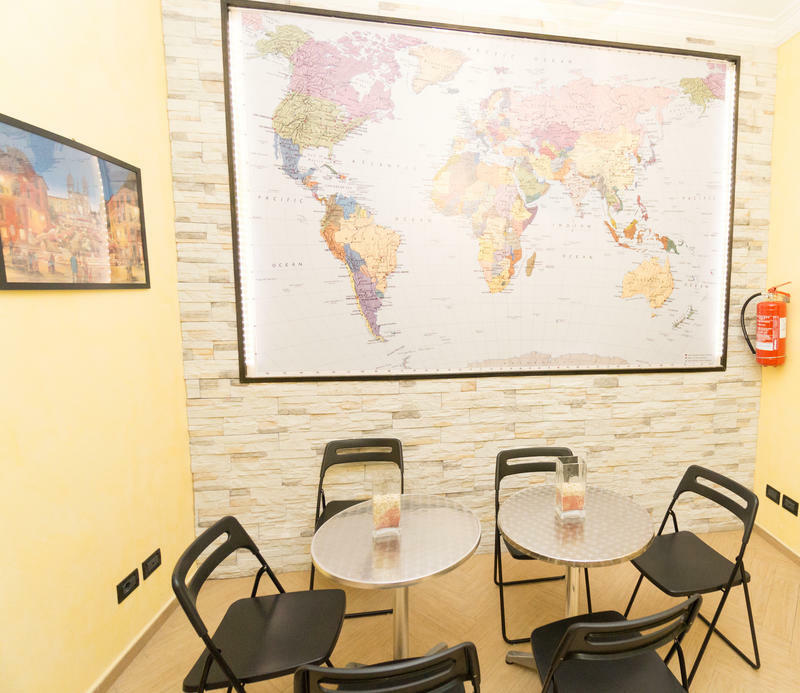 Whether youâ€™re looking for hostel accommodation in dorm beds or comfortable private rooms in a hotel, the Funny Palace is the ideal place to stay to enjoy the wonders of Rome. Everything you need is close by, from tours, restaurants, internet and laundry service to air tours above the ancient city. Stay as long as you want; we guarantee your stay to be a joyful one. Just down the stairs of our hostel youâ€™ll find our spacious internet point with laundry service. Here youâ€™ll meet travellers from all over the world. Our internet and laundry point is well recommended by all the guide books such as Letâ€™s Go, Lonely Planet and Frommerâ€™s. Some of our ensuite double rooms are located on the third floor, without an elevator...but theyâ€™re very nicely styled rooms. Please read our Things to Note below before booking. We do not accept very young children or babies. Please note that for the period from the 30th December 2012 to the 1st of January 2013 the cancellation policy is 7 days. Exit to the right and cross Via Marsala to Via Marghera. Walk three blocks up Via Marghera and turn right onto Via Varese. We're at 33/31.